When one of Gestalt‘s dual protagonists, Ouri, asks this question in volume four, it’s impossible not to wonder if the series’ author is really talking about herself. 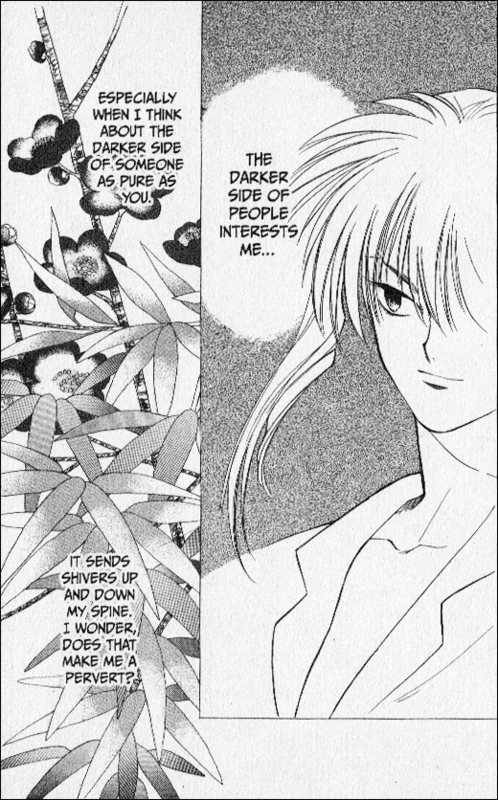 And as a reader, it’s pretty difficult not to apply this to oneself as well, because if there is one thing Yun Kouga excels at, it is creating characters whom we will find surprisingly relatable and endlessly fascinating, even as we’re exploring the darkest corners of their hearts and minds. And it’s not only her characters’ minds that Yun Kouga seems intent on exploring. Her awareness of and ability to express her characters’ darkest desires, simply and without apology, also serves as an exceptionally unflattering mirror for the reader. Her characters are so real and so human in both their complexity and their selfishness, it’s impossible to ignore the reality staring us in the face. Those deep, dark thoughts you were sure nobody else shared? Those self-destructive urges you’ve (mostly) controlled all these years? That private fantasy you keep quietly to yourself? 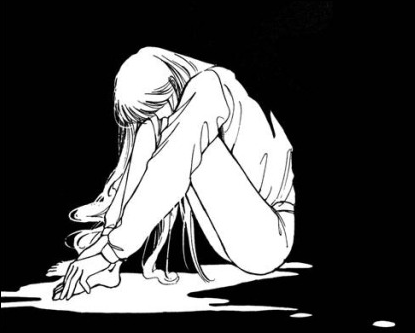 That thing you always do when you need to hide your real feelings? Yun Kouga’s got your number. And she’s got no mercy. And there she leaves us. Yun Kouga just leaves us like that, permanently, irretrievably stuck with the cognitive dissonance and muddy morality that simply is grown-up human life—no excuses, no justifications. It’s not pretty, but it’s effective, and I find myself thinking about a Yun Kouga manga (and the emotional chaos it brings along with it) long after I’ve finished reading. But if she leaves us unable to deny our darker impulses, she at least doesn’t leave us alone. There’s a sense, always, that Kouga loves her characters fully and without conditions, even when they’re at their worst. We’re all ugly and beautiful in Yun Kouga’s world, and there’s nothing to do but to try to navigate the mess as best we can. “Mess” is a key word here, and though Kouga-sensei’s artwork is a consistent highlight—genuinely gorgeous and a real treat to behold—one might say that her greatest talent is in making a mess. She writes messy characters in messy relationships, and if these are often accompanied by some messy plotting as well, perhaps that’s an unavoidable side-effect. Not that the messiness is wholly unintentional, or even close. 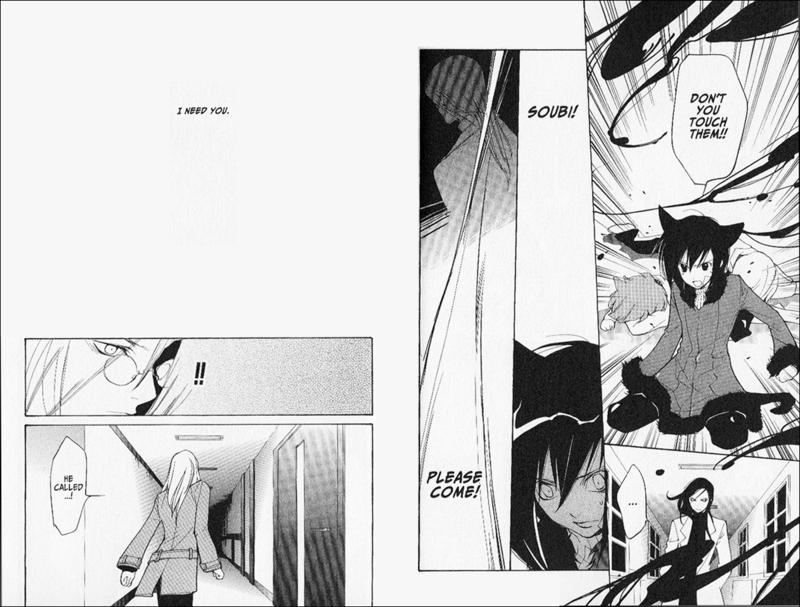 “I forgive you, Seimei!” and “I’m mad at you, Seimei!” young Ritsuka shouts in the same panel in volume 8 of Loveless. We may not quite be with him (at least on the first bit), but we surely understand, because we’ve been there and back, over and over again, about someone (everyone? ), most likely in the same chapter, and definitely in the same story. Kouga’s messiness extends not only to her characters and their relationships, but also to the way we feel about them as they draw us in. We love them, we hate them, we’re angry, we’re confused, we identify with them when we least want to, and all we can really count on is that it’ll all get significantly messier before the day is done. Fortunately, “messier” is just the way I like it. There’s a passion to Kouga’s messiness and to her willingness to jump head first into it all that reminds me less of the polished world of publishing and more of the best parts of fandom, where rabidly pulling apart characters and their motivations is largely the point. 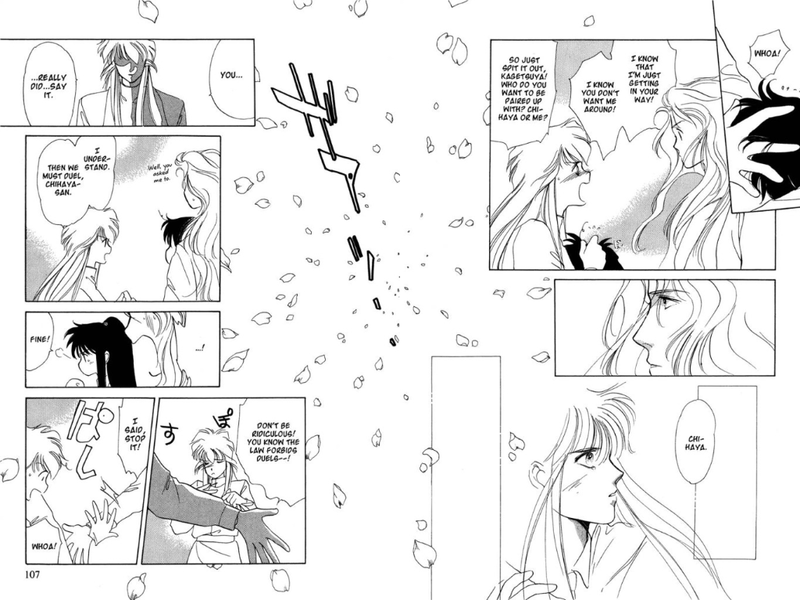 And though any speculation on my part about the influence of Kouga’s doujinshi roots would be simply that, it should be understood that, in my view, it’s a compliment that it even came to mind. 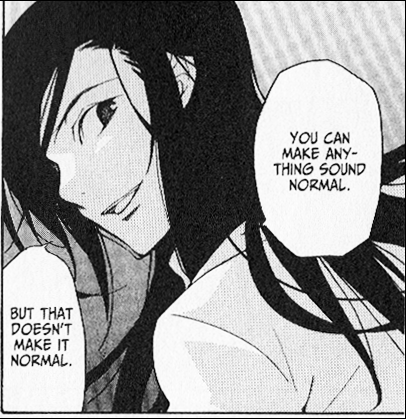 Unlike her characters, Kouga’s plotting generally begins with grand disorder and tidies itself up over time, especially in her earlier series, and wading through the initial flurry of chaos is, in my experience, always worthwhile. Despite a rather hefty catalogue, ranging from RPG-style shounen fantasy, to josei romance, to boys’ love, and even to parts of the Gundam franchise, only four of Kouga’s series (and a single chapter in Dark Horse’s Neon Genesis Evangelion: Comic Tribute) have been published in English to date. 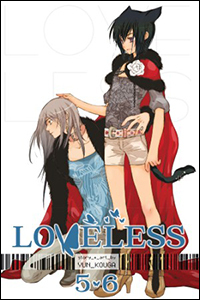 These series include Earthian (BLU/Digital Manga Publishing), Gestalt (Viz Media), Crown of Love (Viz Media), and Loveless (Viz Media). From the pages of Shinshokan’s idiosyncratic shoujo magazine Wings, and originally translated in print for Tokyopop’s BL imprint, BLU, this tale of angels in crisis is the earliest of Yun Kouga’s works currently available in English. And available it is, despite BLU’s demise, thanks to digital re-licensing by Digital Manga Publishing, though only three volumes are available for sale at this time. It is also the only translated series of hers that I haven’t read. I’ll be introducing myself to the series this week, and I’m counting on Yun Kouga’s special talents to win me over, despite the fact that David Welsh once credited it with awakening him to the fact that he “never needed to consume another piece of romantic fiction featuring an angel.” For a more favorable opinion, try Riyka’s Reviews. Previews of the first three (DRM-free) volumes are available at eManga. 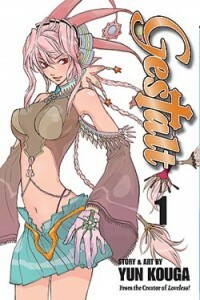 Originally serialized in the pages of Square Enix’s female-friendly shounen magazine GFantasy and later distributed under Ichijinsha’s Zero Sum imprint, this quirky fantasy follows the adventures of roving priest Olivier and mysterious slave Ouri, as they quest to Gestalt, a remote island supposedly cursed by the gods. 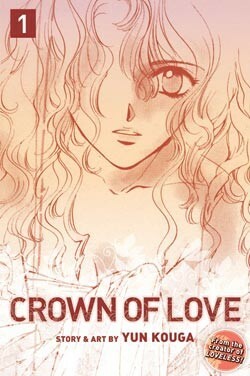 This josei series from Shueisha’s Comic Crimson (marketed as shoujo here in North America) follows the story of Hisayoshi, a rising teen idol who entered show business in order to become closer to Rima, a struggling idol he falls in love with at first sight. As he works to manipulate his circumstances and fights his jealousy over Rima’s crush on her (married) former manager, Rima fights hers over Hisayoshi’s seemingly effortless rise to stardom. From the pages of Ichijinsha’s Comic Zero Sum, this supernatural fantasy revolves around 12-year-old Ritsuka, whose brother’s death sweeps him into a world of magical fighting teams who use the power of words to disable, injure, or even kill their opponents. 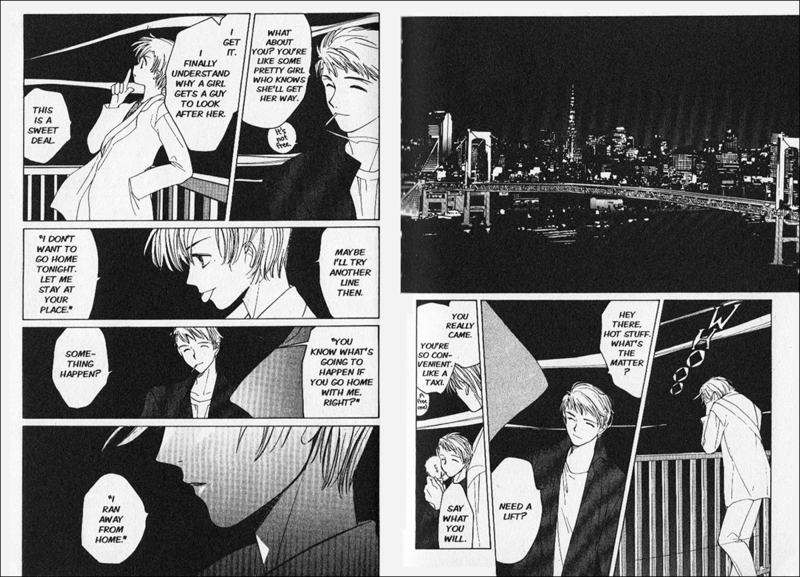 Now bound to 21-year-old “fighter” Soubi, Ritsuka is determined to uncover the truth about his brother’s death. Obviously I’m a fan of Kouga’s work, and I’ll continue to talk about why as the week continues, but whether you’re a fan, an anti-fan, or somewhere in-between, all discussion is welcome at the Manga Moveable Feast! To submit your contributions to the Yun Kouga MMF for inclusion in this month’s archive, please send your links by email to melinda@mangabookshelf.com or via Twitter to @mbeasi between now and Saturday, July 20th. If you would like your contribution(s) to be hosted at Manga Bookshelf, please email them to Melinda, along with any included images. Contributions to the Yun Kouga MMF will be archived here. 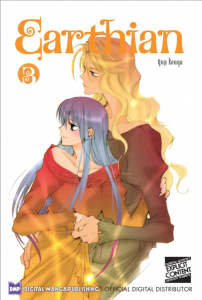 Disclosure: Melinda Beasi is currently under contract with Digital Manga Publishing’s Digital Manga Guild, as necessitated for her ongoing report Inside the DMG. Any compensation earned by Melinda in her role as an editor with the DMG will be donated to the Comic Book Legal Defense Fund. Juné, 801 Media, DokiDoki and Digital Manga Guild are all imprints produced by Digital Manga Publishing or their parent company, Digital Manga, Inc. I think I could read an essay of yours about anything. What a lovely thing to say. Thanks, Michelle!